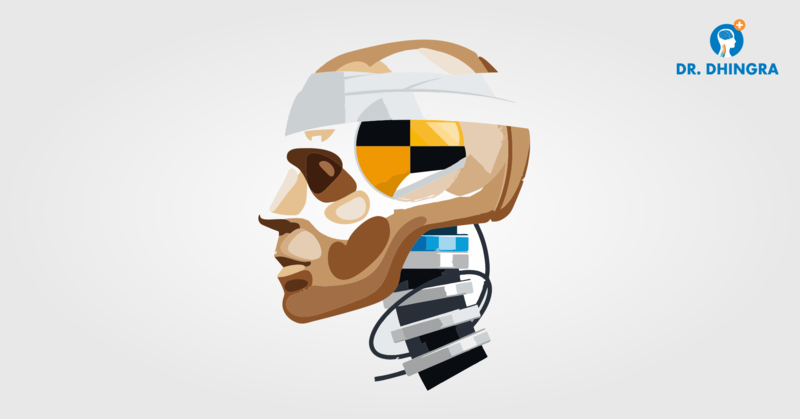 Head Injuries are one of the most common consequences of road accidents. In most of the cases of head injuries, expert medical attention cannot be immediately made available to the victim. This often proves to be fatal for the victim and becomes the difference between life and death. The best neurosurgeon in Chandigarh believes that the situation can be controlled if we know the steps that should be taken to deal with it. While the medical help may not be available immediately, it is the first responsibility to inform the nearest medical facility and call for an ambulance. Every minute counts in such cases and the sooner medical aid reaches, the better it will be. In cases of severe head injuries, it is advised to keep the injured person in a still and calm position, with the body lying down and the head & shoulders slightly elevated. Don’t move the person until medical help arrives, unless it is absolutely necessary. If the person is wearing a helmet or a headgear, do not remove it. Continuous bleeding from the injury can prove to be a major cause of concern, and can even prove to be fatal for the victim. If the blood flow is not stopping, one should apply firm pressure on the injured spot using a clean dry cloth. Make sure not to take this step and leave the wound as it is, if a spinal fracture is suspected. Head injury is a very serious and complicated fatality to deal with. According to a best neurosurgeon in Tricity time elapsed after the injury till proper medical attention is provided is critical to the chances of saving the patient in such cases. Therefore, it is advisable to provide the basic first aid treatment to the injured person as soon as possible. Mythbuster: Spine Surgery is ABSOLUTELY Safe! Signs & Symptoms – How to Identify Cervical Pain?